Stoptober is in full swing. It’s the 28-day stop smoking challenge from Public Health England encouraging and supporting smokers across England towards quitting the dreaded weed for good. Stoptober is based on the insight that if you can stop smoking for 28-days then you are five times more likely to be able to quit for good. It is a well-known fact that smoking is detrimental to your overall health, but are you aware of how damaging it is for your skin? Does smoking directly affect your skin health? FACT: Smoking can cause serious problems for your skin. After just a few weeks from picking up your first cigarette, there can be a noticeable difference to your skin. And it’s not good. Despite all the warnings on cigarette packaging, teenagers continue the killer habit and don’t consider the affects that smoking has which can exacerbate and cause spots, acne, premature ageing and uneven skin tone. Wrinkles and overall ageing skin are the negative effects of smoking which may give acne prone youngsters another good reason to stop smoking NOW. 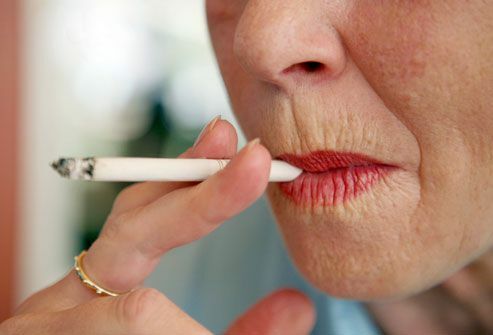 Scientists have studied the correlation between smoking and wrinkles, revealing that the fine lines around your lips and mouth become much more noticeable and defined after prolonged periods of smoking. Although long term effects of smoking cannot be erased, at Works with Water we have developed skin nourishing benefits in our help: clear skin PrAVENAC™ formula. It’s clinically proven to reduce spots, acne and scarring. A delicious anti-ageing collagen jelly, help: beautify skin. The natural unique PravenAGE™ formula in help: beautify skin helps to repair your skin. Making it look smoother and more youthful. help: beautify skin is the ideal investment in your skin as part of the Stoptober campaign. With your skin’s collagen and elastin levels decreasing due to smoking habits, help: beautify skin collagen jelly can rebuild your skin from within. After as little as 2-4 weeks, giving you softer, smoother complexion that will spur on your will power. Re-affirming that giving up your smoking habit is good for your skin as well as your overall health. Curb bad nutritional habits, satisfy hunger pangs and improve your skin’s collagen levels with help: beautify skin. These deliciously tasty natural apple flavoured jelly supplements are so easy to enjoy every day; Simply tear open and eat on the go to nourish skin from the inside out. Restoring a youthful glow and reducing lines and wrinkles. Better than picking up that cigarette during your coffee break! help: beautify skin contains PravenAGE™. It’s a powerful patented blend of Hydrolysed Marine Collagen, Resveratrol, CoEnzymeQ10, Aloe Vera and Vitamin C. All these natural ingredients have been proven to deliver tangible anti-ageing skin benefits. They help to feed your skin and help restore youthful skin.